Check out my New York Times post on using The Day of the Dead to help students learn about literal and interpretative questions. Halloween’s approaching, and I thought people might be interested in seeing a “The Best…” list sites to help English Language Learners find out more about the holiday. Check out The Best Movie Scenes For Halloween. CBBC Newsround has a series of very accessible short texts describing Halloween that include images. They give a very good overview. Watch good, short video clips about its history at the History Channel. The New York TImes has a slideshow on how the holiday is celebrated in different parts of the world. You can get a good understanding of how different countries recognize and celebrate Halloween at Halloweens Around The World. The National Endowment For The Humanities has a nice site called Not Just Halloween: Festivals Of The Dead From Around The World. It has lesson plan ideas and great links. 5 Minute English has a short reading following by comprehension questions about Halloween history. Sean Banville’s ESL Holiday Lessons has some great resources on Halloween. Some can be used online, and others printed-out. MES Games has a good audio review, including a game, of Halloween vocabulary. And, if you haven’t had enough of haunted houses, read another one by the British Council. In A Dark Dark Wood is another British Council story. Here’s a cloze (fill-in-the-gap) activity on the holiday. EL Civics has a nice overview of Halloween traditions. Enchanted Learning has a simple cloze on Halloween. ESL Pods has an audio cloze activity on the holiday. Many Things, the great source of ESL/EFL online activities, has a series of word games related to Halloween, including a “Word Drop”. In fact, in the drop-down menu on the page, you can choose to use the same Halloween vocabulary list in many different activities. Take a “behind-the-scenes” visit to a Haunted House. Here are two games that aren’t specifically related to Halloween, but they are word games with a spooky theme. Spelloween is a spooky spelling game from the British Council. It’s a bit difficult and most appropriate for Intermediate English Language Learners or above. Lanternfish, formerly Boggles World, has an excellent collection of hand-outs on Halloween designed for English Language Learners. Happy Halloween! is from PBS and contains links to many accessible online Halloween-related activities on PBS sites. Halloween: People and Costumes and Halloween Celebrations are two slideshows from the Las Vegas Sun. Here’s a listening exercise about Halloween. Describe Dracula’s castle in this fun language-learning interactive. Here’s an interactive book about Halloween. Both CNN and How Stuff Works have tons of Halloween-related videos. Halloween Spending Trends is a useful infographic. Punkin Chunkin is the name of a new “sport” of catapulting pumpkins to smash them. I’m not making this up. The New York Times has just published an article about it, and the Discovery Science Channel has a bunch of online videos. Dog owners celebrate Halloween by dressing up their pets in bizarre costumes at parades is a slideshow from The Telegraph. Bizarre Halloween Jack O’Lantern pumpkins is a slideshow from The Telegraph. The transatlantic Halloween divide is an infographic from The BBC. Slate has a slideshow of older Halloween images. Halloween Report is another neat infographic. The BBC has a slideshow of fun Halloween pictures submitted by readers. Choose a monster, use its text-to-speech feature to record a message, and send it to a friend with this site. You can post the link on a website or blog, too. You can carve a virtual Jack-O-Lantern and send it to a friend or post the link on a website. Send a talking E-Card from an evil clown — if you dare. With Halloween fast approaching, what would be more timely than a new online video game where the player has to rid a house of evil spirits… or else? House, in addition to providing a few scary moments, offers tons of English-language learning opportunities. You can read this article to find-out how I use online video games with English Language Learners. Here’s the Walkthrough for the game. Gatuno In Halloween is a brand-new online video game from the developer of the great Esklavos series of games. As in the Esklavos games, you have an option of playing it in English or Spanish. Playing them in English provides numerous opportunities for language-development since many items are given text labels. Here’s the “Walkthrough” (the instructions to win). As I’ve described previously, English Language Learners playing these types of games with walkthroughs maximizes their use for language-learning. However, even without it, this game would be good for ELL’s. Kidnapped by Ghosts is another good game for ELL’s. Here’s the walkthrough. Here’s a “scary” online video game with Garfield the cat, and here’s its walkthrough. Here are several good sites that are specifically related to how Halloween is celebrated in Mexico and Latin America — as the Dia de Los Muertos. The Smithsonian’s Latin Center Theater of the Dead is very interactive, accessible, and informative. Mr. Donn’s Day of the Dead page is not only accessible to ELL’s, it also has links to a number of good lesson plans. The BBC has an online slideshow about how The Day Of The Dead is celebrated throughout the world. The Day Of The Dead is a slideshow from The Telegraph. The New York Times has a short slideshow on how the Day of the Dead is celebrated in Mexico. Days Of The Dead is a series of images from The Boston Globe’s Big Picture. Day of the Dead – El Día de los Muertos – Worksheets and Exercises comes from ESOL Courses. Day of the Dead | Día de los Muertos in Los Angeles, a slideshow from The Los Angeles Times. The Day of the Dead: people around the world celebrate All Saints’ Day and All Souls’ Day is a slideshow from The Telegraph. Teaching Tolerance has a lesson that relates to Halloween stereotypes. It’s called What Halloween Costumes Say. Detroit Fights Devil’s Night is a TIME Magazine slideshow about a tragic tradition of arson in Detroit. ESL Courses has good resources on Halloween and on The Day Of The Dead. Happy Halloween Escape is an online video game that has potential as a language development activity, especially if it’s used with a walkthrough. You can look through a ton of old Halloween advertisements here. Ghostscape 2: The Cabin is an online video game that is probably too scary for very young children, but adolescents should love it. The walkthrough isn’t posted yet, but should be soon at this site. It has a lot of language development opportunities. Laurence Haquet creates great interactive books that are exceptional learning tools, including her book on Halloween . Jason Renshaw has created a “Halloween Challenge” to ESL/EFL teachers to create/modify Halloween materials. Check it out here. Haunting Ideas: Halloween in the Classroom and ‘On the Street’ is from The New York Times Learning Network. Check out The Witch’s Stew online story. I’ve previously posted about The Good Guide. It began as a University of California research project, and is now an independent organization that evaluates companies on their social and environmental policies and actions, and invites people to participate in those evaluations. Thanks to Brain Pickings, I learned about this YouTube video they just posted where they evaluate different types of popular Halloween candy. You can also find the written info at their website. ESOL Courses has many Halloween resources. Halloween celebrations around the world is a slideshow from The Telegraph. 2011’s Best Cities for Trick-or-Treating is from The Atlantic. TIME Magazine has a slideshow of “haunted” houses. In Pictures: Mexico Day of the Dead is from the BBC. Martians at the Halloween Sock Hop: Photos of Bizarre Vintage Costumes is from The Atlantic. Here’s a complete collection of Halloween resources from The New York Times Learning Network. Zombie pumpkins invade New York’s Botanical Garden is a video from the BBC. Here are Halloween videos from English Central. The 10 best scary paintings is from The Guardian. The Dead Have Something To Tell You is from The New York Times. Five-Minute Film Festival: Happy Halloween! is from Edutopia. Your Photos of Halloween Pumpkins is from The New York Times. Halloween Goes To School is from Middleweb. by lglynn. Explore more infographics like this one on the web’s largest information design community – Visually. Where Did the Fear of Poisoned Halloween Candy Come From? is from Smithsonian Magazine. Three Cats in Halloween is an online video game. Here is it’s Walkthrough. The British Council has some great Halloween resources here and here. Do You Believe In Ghosts? is from The New York Times Learning Network. A Halloween scare can sharpen the brain is an excellent article on emotion for IB Theory Of Knowledge classes. It’s from The Los Angeles Times. “People think being afraid is a bad thing, but the reason we evolved to be afraid is that the world is pretty dangerous and we’ve evolved very powerful systems that automatically force us to do our natural defensive and protective behaviors,” says Michael Fanselow, a UCLA behavioral neuroscientist. Some fears are learned; others are encoded in our DNA: Rotting flesh (we’re looking at you, zombies), snakes, blood, heights — even our tiny-brained ancestors understood these were unsafe. And the fear prompted immediate responses, Fanselow says. Eek! 50+ Halloween Activities, Resources & Apps is by Shelly Terrell. Halloween Infographics: Treats For Any Lesson is from The ASIDE blog. Apps and Activities for Hallowe’en is from The Book Chook. The Truth That Creeps Beneath Our Spooky Ghost Stories is from NPR. Why Are Kids Who Get Less Candy Happier On Halloween? is from NPR. Learn about the history of masks here. Wait, Americans Spend How Much on Halloween? is from The Atlantic. Colorado parents are freaking out about marijuana in Halloween candy is from Vox. Sweet Ideas for Halloween-Inspired Learning is from The Teaching Channel. 9 photos of when Halloween was truly a terrifying holiday is from Vox. Halloween in Japan 2014 is a fun photo gallery. Halloween & sitcoms II is from Informed Teachers. Your Halloween Soundtrack, From A Candy Frenzy To The Dance Of Death is from NPR. The Good Listener: Where’s All The Great Halloween Music? is also from NPR. Russia: Activist calls for Halloween ban is from The BBC. 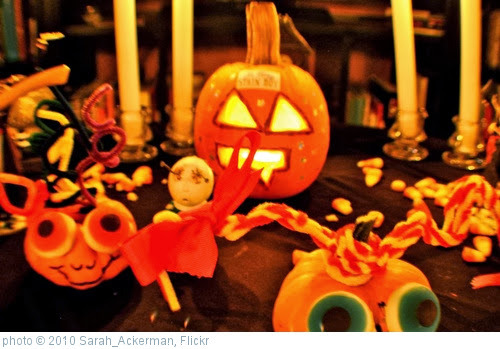 How to teach … Halloween crafts is from The Guardian. What Do Halloween Costumes Say? is a lesson plan from Teaching Tolerance. Witches, Vampires And Pirates: 5 Years Of America’s Most Popular Costumes is from NPR. Halloween Safety: A Worthwhile Infographic is from The ASIDE blog. In Classrooms, Halloween Costumes Can Raise Sensitive Issues is from Ed Week. Festivals of the Dead Around the World is from Smithsonian Magazine. Mischief Night: New Jersey’s special pre-Halloween holiday celebrating vandalism is from Vox. Test Yourself | Thousands of Pumpkins Light the Night is from The New York Times Learning Network. The Purest Halloween Music Ever Written is from The Atlantic. The Halloween Industrial Complex is from The Pacific Standard. Decoding The Food And Drink On A Day Of The Dead Altar is from NPR. Halloween Is Big with Kids and Business is from Voice of America. Thanks to Michelle Henry for the tip. The Creepiest Ghost And Monster Stories From Around The World is from NPR. 7 charts that explain Halloween is from Vox. Celebrate this weekend with a spooky ghost playlist is from Vox. 3 fantastic descriptive Halloween writing activities is from Adam Simpson. Halloween in Numbers is from The Guardian. Why Australia Hates Halloween is from Vox. 8 things you didn’t know about Halloween is from the PBS News Hour. Esther Cepeda: Is Day of the Dead the new Halloween? ‘Mental patient’ Halloween costumes: a scientific guide to dressing accurately is a great piece from the Scientific American, and the headline is a clever play on the contents of the article (which is actually a thoughtful discussion of the social stigma of mental illness and how common it really is). Video: Berkeley elementary school bans ethnically-based Halloween costumes is from a San Francisco TV station (thanks to Rethinking Schools). 28 Halloween movies and TV episodes for wimps and scaredy-cats is from Vox. Halloween activities for ELLs is from Engames. 15 #ESL teaching ideas and a load of useful links for Halloween is from Adam Simpson. The Tragic, Forgotten History of Zombies is from The Atlantic. Spooky Science Stories, Just in Time for Halloween is from The New York Times. Halloweens Past: Wacky Pranks With Wagons is from NPR. Tainted Treats: Racism And The Rise Of Big Candy is from NPR. Día de los Muertos Altars: Loving Tribute to Deceased Family, Friends is from NBC News. The Spark Behind the Great Jack-o’-Lantern Blaze is from The New York Times. Day of the Dead celebrations – in pictures is from The Guardian. A Little Bit of Thriller on Halloween is fun lesson for ELLs from Blog de Cristina. The Origins of Halloween is from Family Education. Here’s an ABC News interactive video on Halloween. Origins of Halloween and the Day of the Dead is from EdSitement. Halloween Quiz: How Much Do You Know About Global Disease Costumes? is from NPR. Photos of Halloween 2016 is from The Atlantic. What is Día de Muertos? 3 Things to Know is from NBC News. 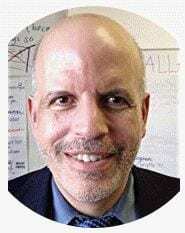 Voices: On Dia de Muertos, No Elaborate Rituals, Just Honoring My Dad is from NBC News. Sugar Skulls, Tamales And More: Why Is That Food On The Day Of The Dead Altar? is from NPR. Upcoming Pixar Movie ‘Coco’ is Led by an All-Latino Cast is from NBC News. Haunting Ideas: Halloween-Themed Teaching and Learning With The New York Times is from The New York Times Learning Network. Google has their annual FrightGeist site that shows popular costumes by geographic area. Here is their summary. Top 8 maps and charts that explain Halloween is from GeoAwesomeness. Where are the bodies? is an interactive map to see where the famous and infamous are buried. How Trick-or-Treating Became Part of Halloween Tradition is from TIME. Chart: Halloween candy, ranked by calories is from Vox. The Ultimate Halloween Candy Power Ranking is from Five Thirty Eight. A Special Spooky Playlist On World Cafe is from NPR. Candy corn: Halloween’s most contentious sweet, explained is from Vox. What’s El Día de los Muertos? It’s Not Scary, and It’s Not Halloween is from NBC News. A visual guide to the Day of the Dead is from Vox. Let Día de los Muertos Stand on Its Own is from Teaching Tolerance. SLC Day of the Dead Bilingual Curriculum-Based Resources is from The Smithsonian. Here’s an interactive sharing Thirteen Spooky Halloween Haunts. Halloween Goes to School with MiddleWeb is from Middleweb. All the candy that’s sold during Halloween week, in one massive pumpkin is from Vox. The Spirit of Halloween 2018 is a photo gallery from The Atlantic. 11 Halloween Lesson Resources is from Richard Byrne. HOCUS POCUS shares a series of teaching ideas for ELLs. It’s from ELTcation. What Halloween Looked Like 100 Years Ago is from Bright Side. Scenes From Halloween 2018 is from The Atlantic. Thanks a lot for sharing all these excellent resources. Is there a way to display the gatuno in halloween site without the ads? Maybe, but I don’t know how…. 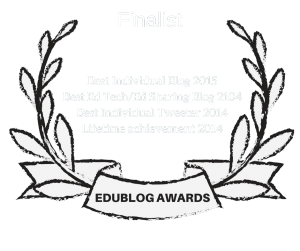 Great list of resources, Larry – Thanks for sharing! Make sure the students mouse/scroll around each room and keep their eyes peeled, and be prepared for a surprise in the chapel!